If you are moving into a new home or office contact the Mango Maids team for move-in cleaning services in Calgary & Edmonton. A lot of the time a new home is a mess when you purchase it, avoid the stress and hastle with the aid of professional maid services. Moving into a new home or business location is an extremely exciting, but busy time. Dealing with realtors, ownership or rental processes and more, showcases how moving can put a lot on your plate. The last thing any home or business owner wants to think about is keeping their property clean during moving processes. Cleaning a home or business is no small task. Having to keep your property clean while dealing with your ongoing move in can simply be too much to handle. Take the cleaning off your plate with professional move in cleaning services. The expert move in home cleaners have the kills to make sure your new home or business is ready for your arrival and that your existing home or business stay clean during the move process. Contact Mango Maids today to book a move in cleaning consultation! Move in cleaning services can be useful for a range of moving processes. While moving into your new property, Mango Maids can keep your existing or old pretty spotless till your last visit. Move in cleaning can be ideal for preparing your new home or business to be moved into. Finally after you move in the experts at Mango Maids can provide cleaning services to handle any messes that were created in the move. For your move in cleaning need, contact Mango Maids! When your hire Mango Maids for your move in cleaning needs you can trust that we will make every effort to utilize eco-friendly processes and products to accomplish your cleaning needs. Our team works to completely clean your new or old property, while protecting our precious environments. Mango Maids can utilize eco-friendly approaches to your specific move in cleaning needs. For more information on how Mango Maids utilized an eco-friendly approach to our cleaning project, contact us today! Whether you’re looking to keep your existing kitchen clean while you move or if you are preparing your new kitchen for future use, the experts at Mango Aids are here to help with your move in kitchen cleaning needs. If you kitchen space has incurred dirt, dust or other messy attributes during your move in process, Mango Maids can gladly return your new kitchen space to a clean, sanitary and comfortable space in your home. Get the most from the most used room in the home with move in kitchen cleaning! The bathroom area(s) in your new home or business can see serious benefits from professional move in cleaning services. To ensure a safe and comfortable use, it is always recommended to thoroughly clean your new bathroom before you begin regular and or daily use. To get the best results from your move in bathroom cleaning projects, hire the experts at Mango Maids. At Mango Maids we are here to provide top quality move in bathroom cleaning services for you new home or business! Moving into a new home can leave a serious mess in your new carpets. From dusty boxes, Styrofoam, to other packaging or moving debris, carpets can become quite filthy during the moving process. Don’t let your move process be more work then it has to, by needing to clean your carpets. Call or email Mango Maids today for help with your move in carpet cleaning needs! 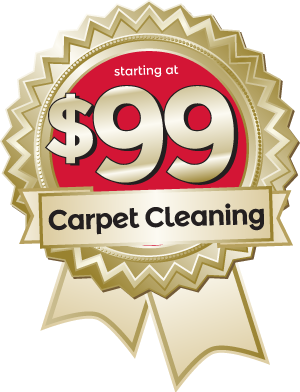 We have the skills, knowledge and professional eco-friendly equipment to handle your move in carpet cleaning needs! Contact Mango Maids today for moving in cleaning services – fill out your information below and our customer service team will be in touch with you shortly!